Description: Titan Panel adds one or two information bars on the top and/or bottom of the screen and allows a framework for extensive plugin support. Description: A great addon for PVE-ers with a lot of ALTS. This addon keeps track of the keys you have on all your characters. 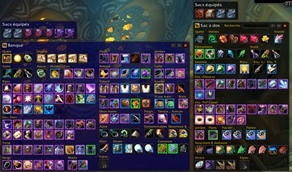 Description: Provides methods for determining which mini-pets and mounts you are missing. Very useful for mount/pet collectors. Description: (EN) Bazooka is a Data Broker Display similar in functionality and looks to FuBar. Personal note: These are strictly my preferred addons when it comes to Raiding/Mythic+ sphere. 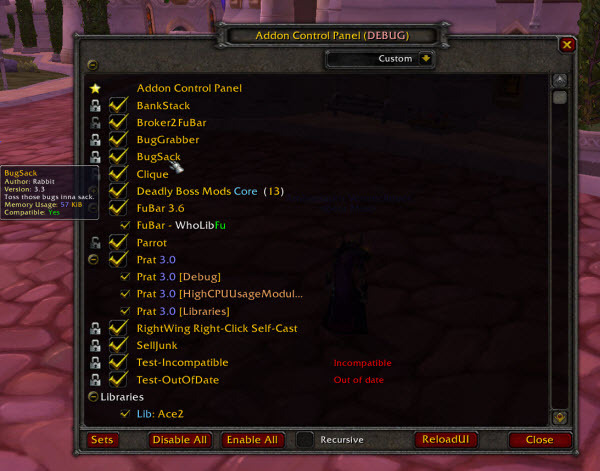 Most of these addons tend to affect the Blizzard interface and gameplay as little as possible, but they can be customized into all the essensial ways a player might want to (it is more about keeping the classic appearance and changing specific things, rather than transforming your whole UI - requires more patience to set everything up to suit individual preferences). Description: (RO/EN) BigDebuffs is an extremely lightweight addon that hooks the Blizzard raid frames to increase the debuff size of crowd control effects. Additionally, it replaces unit frame portraits with debuff durations when important debuffs are present. Description: (RO/EN) Quest Helper, Etc. ps it's a great tool for GM/developers to fix quest's for getting it most retail like as possible. Description: (RO/EN): Zygor Guides are high quality in-game strategy guides for World of Warcraft that will walk you step by step through every aspect of the game. We've done all the research for you so you can spend less time searching for help and more time enjoying the game. Type: (category - e.g. Boss Encounters, PvP etc): Questing, Leveling, Proffesions, Reputations, Mount|Pet drop. The version that bittersweet mentions in the post above mine is 6.1.15476, this is a much older version, for 7.1. 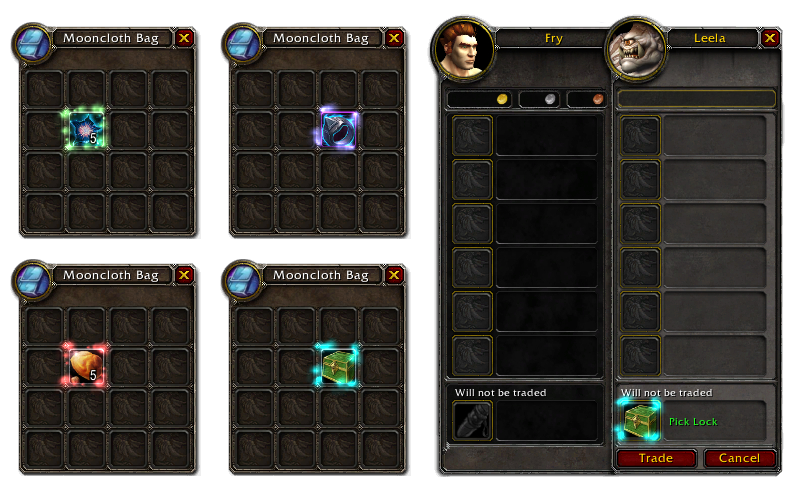 Description:	Dugi Questing Essential is an All-In-One addon for anything to do with questing & leveling. 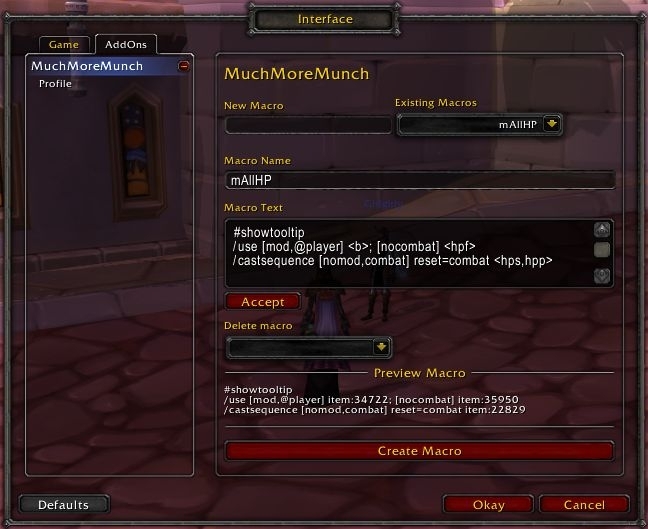 Description:	Macro Toolkit is an enhanced macro frame that adds to default macro UI. Description:	Automatically generate macros that use the best food/water/potion available in your bags in and out of combat. 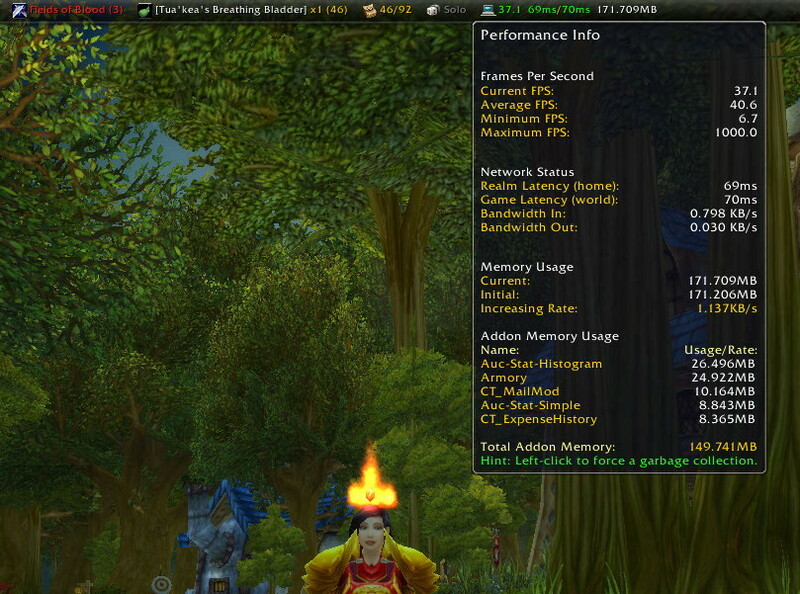 Description:	ACP allows you to manage your addons in game, giving you more options than blizzard addon manager. Description:	Reflux is a profile manager. It allows you to create, simulate for addons that don't support profiles, switch and manage all your profiles, for easy transfer of your UI across your characters. Description: Pawn helps you find upgrades for your gear and tell which of two items is better for your spec. Start with built-in advice from Ask Mr. Robot, or customize Pawn's stat weights to have it suggest items based on your favorite class guide or simulator. Pawn can help you decide whether it's better to use the cloak with 100 mastery or the one with 80 crit—whether you're just starting out, or you're an advanced player who plans out gear upgrades and regularly simulates and evaluates performance. Description:ALL THE THINGS is a good addon for all players who are interested in their collection such as mounts, pets, mog etc.